BEIJING, Dec. 6 (Xinhua) -- A senior discipline official Thursday called for upholding the authority of the United Nations and the principal role of the U.N. Convention against Corruption in global anti-corruption cooperation. 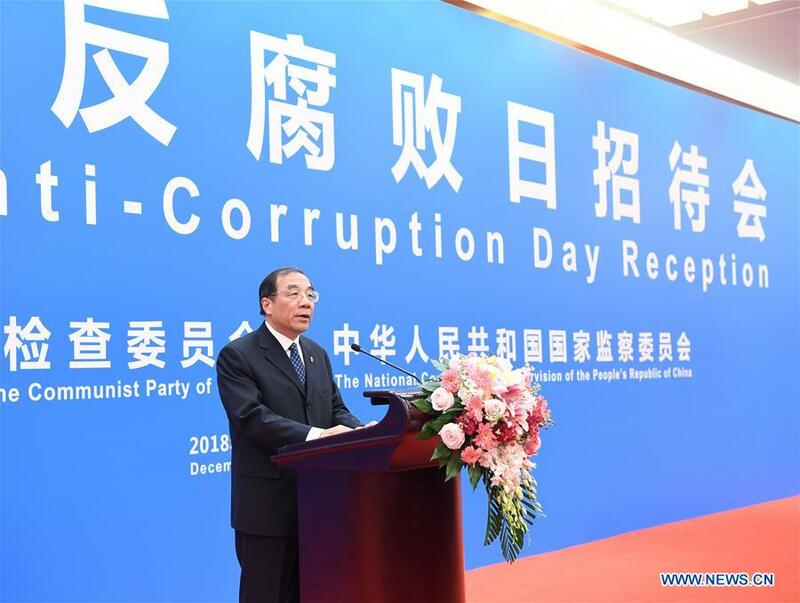 Yang Xiaodu, deputy secretary of the Communist Party of China Central Commission for Discipline Inspection (CCDI) and head of the National Supervisory Commission, made the remarks at a reception to observe the 15th International Anti-Corruption Day, which falls on Sunday. Yang also called for advancing full and rigorous governance over the Party and combat against corruption in China. U.N. Secretary-General Antonio Guterres sent a written congratulatory message to the event, reaffirming that the U.N. valued and supported international anti-corruption cause. Representatives from 125 countries and international organizations in China attended the reception.